The Sig Sauer fans wanted a compact, lightweight pistol that performed like a full size. This platform is right up Crimson Trace's ally as the Laserguard platform offers everything in a compact package. 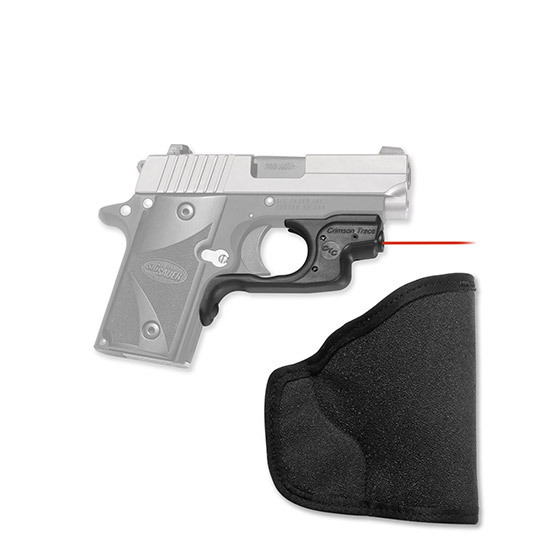 The LG-492 attaches to the trigger guard of the P238 by two factory supplied screws. The LG-492 is fully adjustable for windage and elevation and comes sighted in at 50 feet from the factory. See our holsters section for a custom holster to securely fit your laser equipped P238. Includes holster.